While internet penetration in India has increased over the years, there is a gender gap pervading its usage too. According to a recent report ‘Internet in India 2017’ by the Internet And Mobile Association of India (IAMAI), the total number of internet users in the country is expected to reach 500 million by June 2018, but only 30 percent of the number will make up female users. The total number was estimated to be 481 million in December 2017, an 11.34 percentage hike from December 2016 reports. According to the same report published along with Kantar IMRB, the figure stated as on December 2017 penetrates only 35 percent of the total population. Although there has been a change over the last year, the report informs that number of internet users in rural India is steadily growing. As of December 2017, urban India has approximately 295 million internet users, while rural areas boast 186 million users. The current number of users in urban India has seen a 9.66-percent growth from December 2016, while rural India witnessed a growth of 14.11 percent from December 2016. Hence, the report points out the need for more policies to focus on the digital divide that exists between urban and rural India today. Speaking in absolute terms, urban India has an estimated population of 455 million, of which 295 million are already using the internet. Rural India, which is expected to have an estimated population of 918 million, has only 186 million internet users. Thus, there are a potential 732 million users still in rural India. 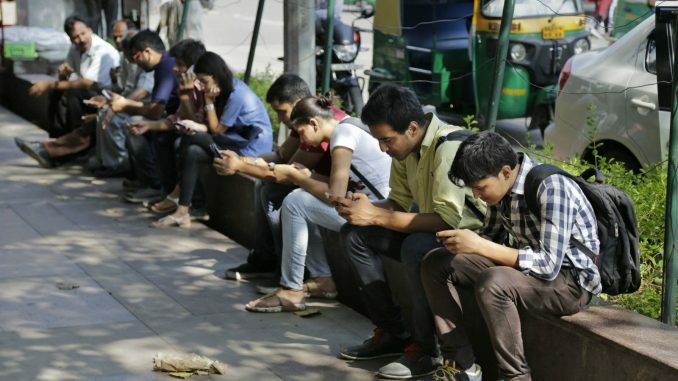 According to IAMAI, India at present has an estimated 281 million daily internet users. Further, 182.9 million of this 281 million comes from the urban area, while the rest 98 million come from rural India. Speaking about the type of users, the report concludes that 60 percent of all internet users in India are youngsters and students.